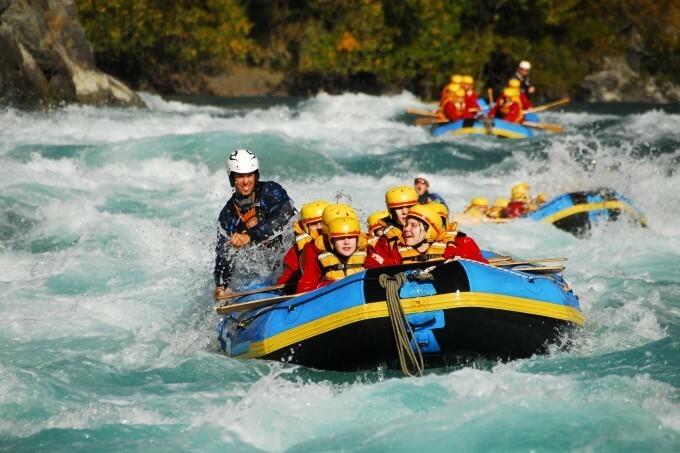 Queenstown Rafting is the original Queenstown Rafting company, professionally run with over 40 years experience, providing white water rafting trips and more, in the adventure capital of New Zealand, Queenstown. 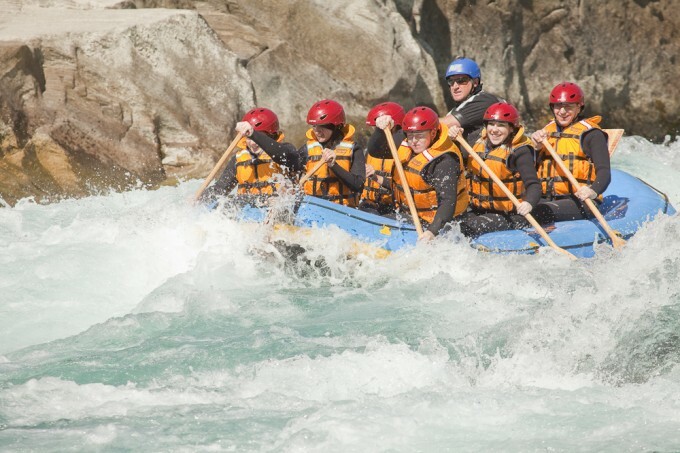 Experience New Zealand’s white water river rafting at its best! 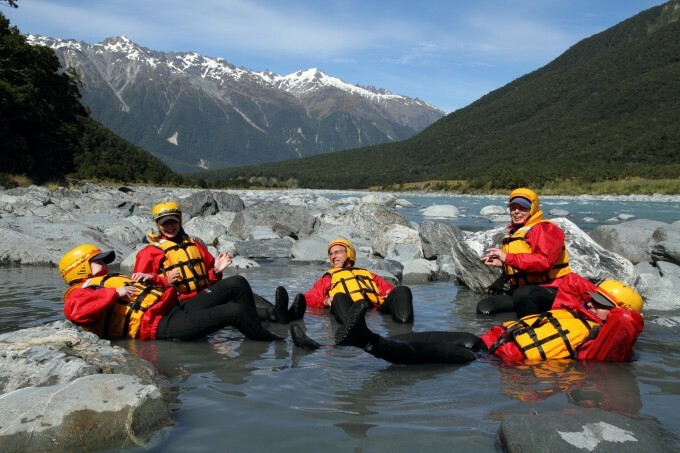 Queenstown Rafting are the outdoor adventure activity and adrenaline specialists offering guided rafting trips on the Shotover and Kawarau Rivers. 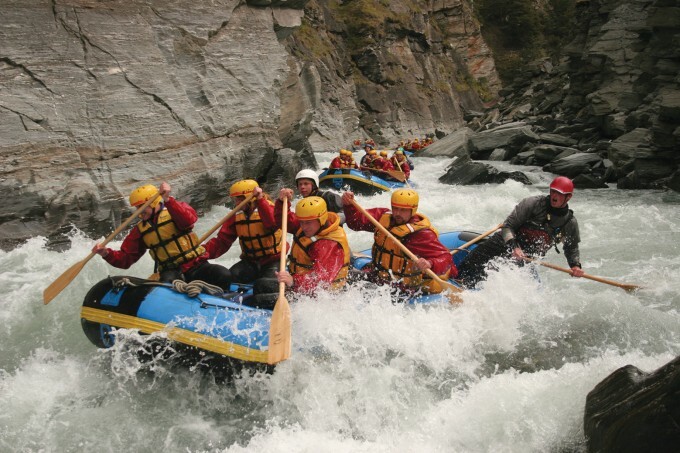 White water rafting, and more, in the adventure capital of New Zealand, Queenstown. 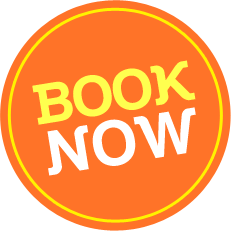 Three different trips for all abilities, plus ‘action extras’. 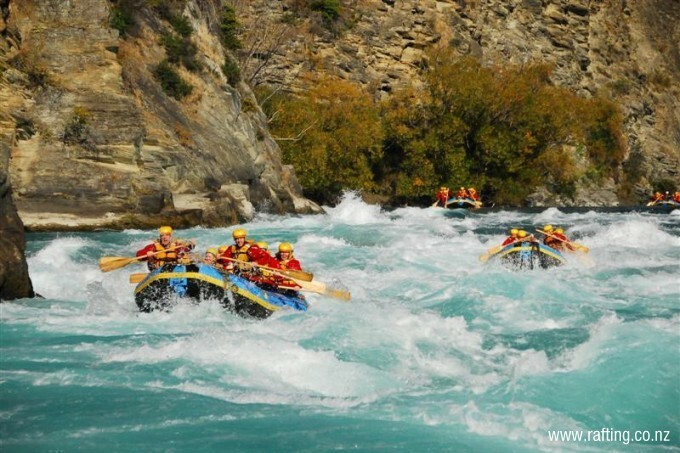 Queenstown Rafting – Kawarau River Rafting Trips. 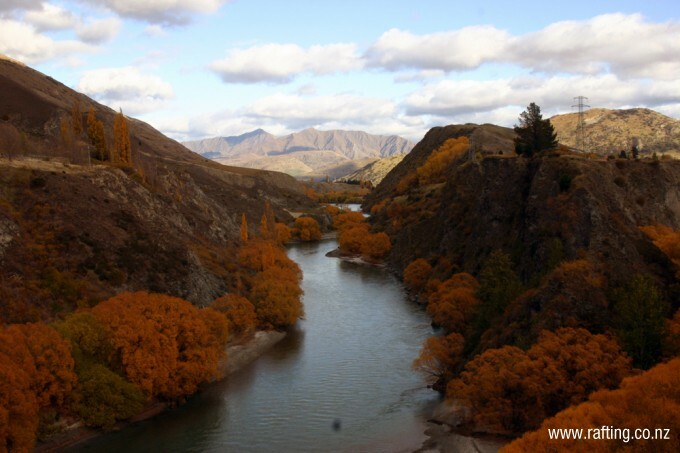 The Kawarau River is super scenic, fun for all ages and abilities. 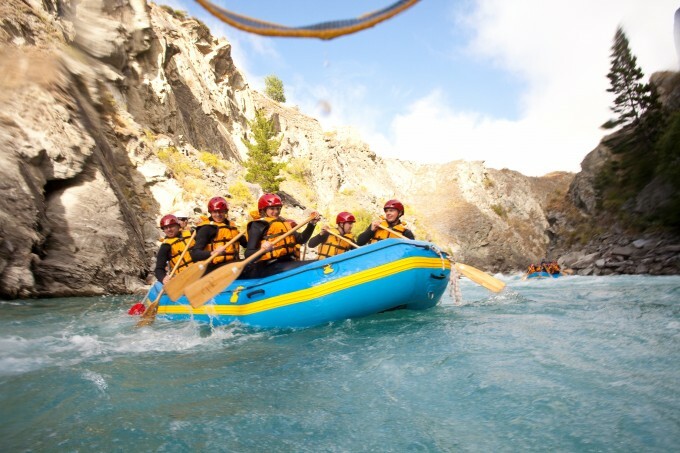 The Kawarau River is ideal for beginners and first time rafters or for those travelers looking for a more relaxed rafting experience for groups of mixed ability/ages. It’s the Kawarau River that starred as the River Anduin in Lord of the Rings. The grandeur of the canyons imparts a feeling of paddling through the heart of Middle Earth. 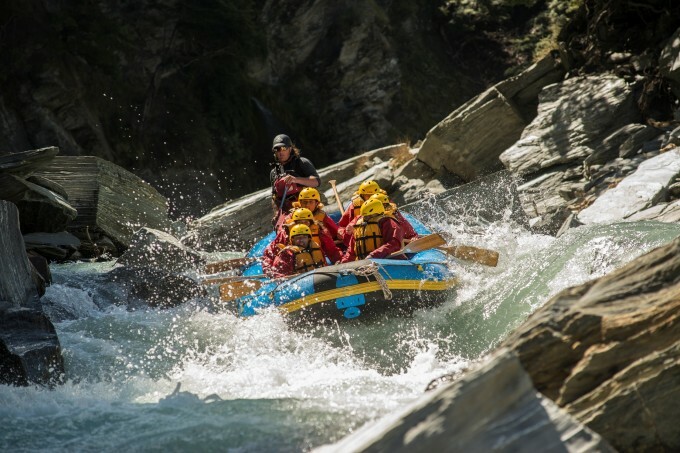 Enjoy the unforgettable 400m long Dog Leg rapid- New Zealand’s longest commercially rafted rapid before returning to Queenstown for a sauna and shower at Cavells Rafting Base. 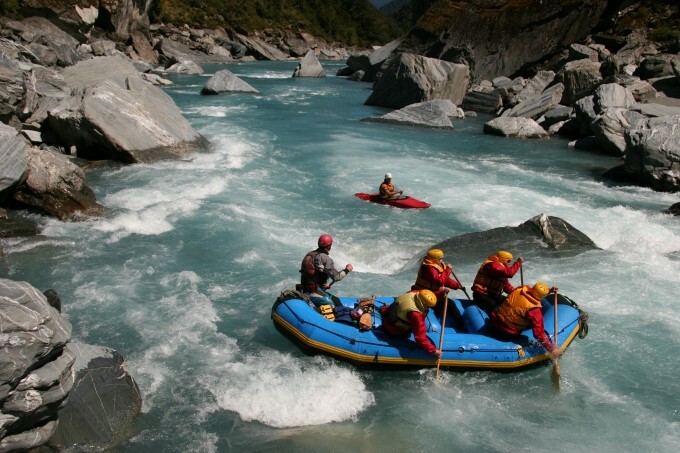 The Shotover River is most popular and serious white water action rafting trip. Begin with an unforgettable coach trip into Skippers Canyon, famous for it’s exciting cliff edges and gold mining history. Meet your river guide before beginning your white water rafting journey through the spectacular canyon. 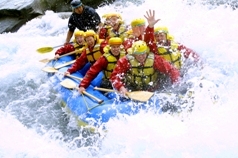 Rafting from Deep Creek over peaceful waters at first, you’ll head towards the exhilarating rapids of the lower canyon. The adrenaline pumps as you paddle Aftershock, Squeeze, Toilet, Oh Sh*t, Pinball and Jaws to name a few. Raft the 170m Oxenbridge Tunnel before shooting Cascade Rapid to complete your adventure. 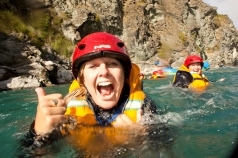 Before returning to Queenstown, enjoy a sauna and hot shower at Cavells Rafting Base. The Landsborough River trip is a three-day adventure to a remote wilderness. 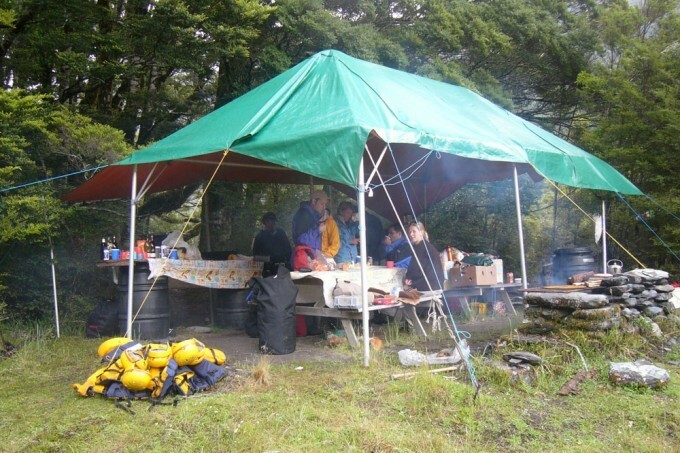 Imagine visiting one of New Zealand’s most remote areas – untouched, unspoiled and visited by only a privileged few. 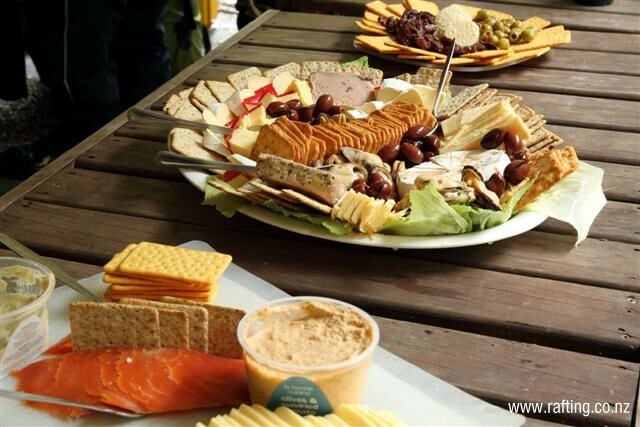 Paddling and camping your way down the magnificent Landsborough Valley, you will glide past 2,500m mountains, hanging glaciers and through dense rain forest. 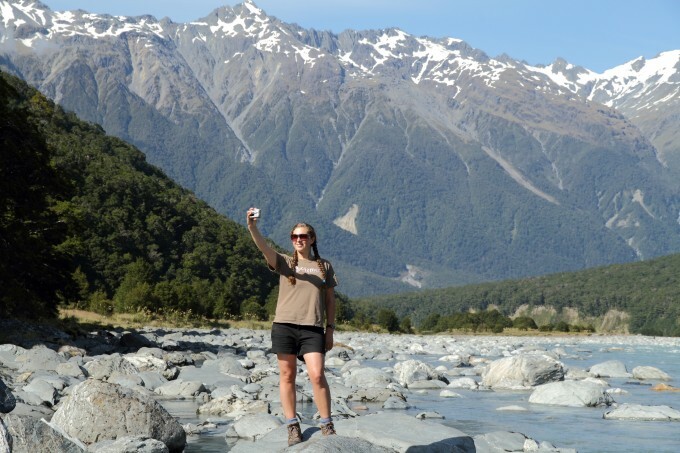 This three day, two night trip will give you incredible views of stunning New Zealand scenery. A perfect mix of tranquility and pure adventure. If that isn’t enough, try a Rafting Combo, and mix the rafting with bungy jumping, jetboating, skydiving and more. Not for the faint-hearted, these Action Combos guarantee you an unforgettable experience. Return travel to downtown Queenstown. It doesn’t matter if you’re experienced or a novice. There’s a rafting adventure here with your name on it.